Kingston releases a managed model of the IronKey D300 Serialized Encrypted USB flash drive. The Kingston IronKey D300SM is a military-grade AES-256 encrypted managed USB flash drive following the industry standards and stronger data encryption of the D300 series. 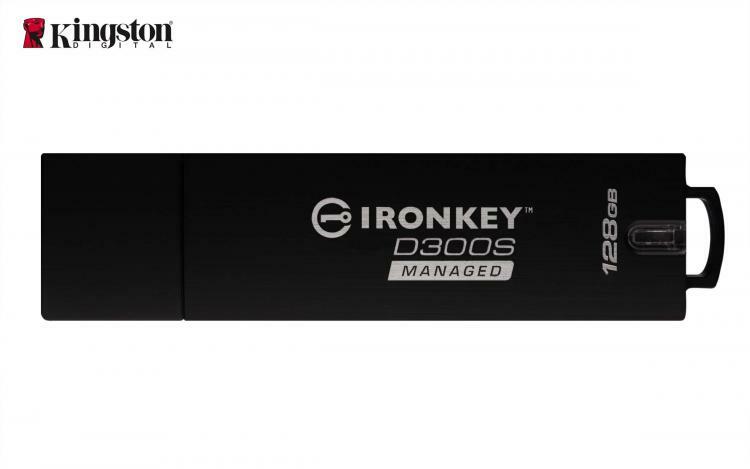 The IronKey D300SM is compliant for data storage under GDPR and the NY financial regulations. Using encryption, data cannot be accessed without the password. The IronKey D300SM also features a unique serial number and a scannable barcode that will be helpful for physical auditing. The IronKey D300SM is available in capacities of 4GB, 8GB, 16GB, 32GB, 64GB, and 129GB with speeds of up to 80MB/s read, 12MB/s write using USB 3.1 Gen1 interface. The Kingston IronKey D300SM requires IronKey EMS or SafeConsole by DataLocker allowing central management of drive access and usage across thousands of drives. Either cloud-based or on-premises, it enforces drive-specific policies, such as password strength and retry limits, lets administrators remotely disable lost or stolen drives, reset passwords when forgotten and more. This is the first IronKey drive that is supported on SafeConsole, allowing it to be used by customers who already have SafeConsole installed. The Kingston IronKey D300SM is FIPS 140-2 Level 3 certified and uses 256-bit AES hardware-based encryption in XTS mode. The drive has a unique serial number and bar code on the drive itself, allowing network administrators to easily scan or read the code during any physical auditing or asset management, making the process more efficient and streamlined. Also, a virtual keyboard enabling users to enter a password with clicks of the mouse instead of using a physical keyboard, protecting against possible keylogging when using the drive on other computers. Learn more about the Kingston IronKey D300SM USB flash drives here.